Escape From the Mountain of Death! Escape From the Mountain of Death! (S01E16) is the sixteenth episode of season one of "Katekyo ... More Escape From the Mountain of Death! 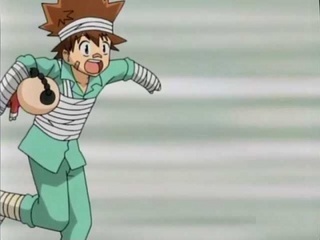 (S01E16) is the sixteenth episode of season one of "Katekyo Hitman Reborn!" released on Sat Jan 27, 2007. Over 134 TV Time users rated it a 0/10 with their favorite characters being Neeko as Reborn, Yukari Kokubun as Tsunayoshi "Tsuna" Sawada and Hidekazu Ichinose as Hayato Gokudera.